Are the women we identify as prominent within the DPRK just as meaningful to ordinary North Koreans? 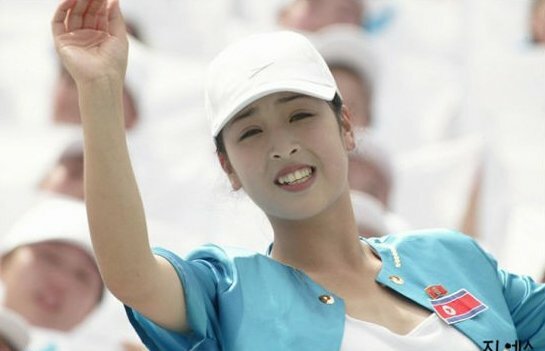 Who are the female icons of North Korea? Are the women we identify as prominent within the DPRK just as meaningful to North Koreans? And who are the women that hold the real power in North Korean society? Over the course of two special features dedicated to the other half of the North Korean sky, we’re going to find out. 1) iconic female figures created and amplified by the propaganda apparatus since the inception of the DPRK; 2) a few, relatively unknown workers and revolutionaries, portrayed as labour heroes; 3) women who acquired a certain political power, but remain behind the scenes and 4) North Korean women who involuntarily gained fame, mainly outside of North Korea, through the internet and the relative opening of the DPRK to foreign visitors. These four groups are characterized by an inverse proportion between the status they hold in North Korean ideology versus the attention that foreign observers devote to them. In other words, the higher their media exposure, the lesser their role within the country’s ideology. As far as revolutionary spirit goes, North Korean ideology identifies two main figures as the female role models for the people. Needless to say, they are both members of the extended Kim family. Kang Ban Sok, mother of Kim Il Sung, is universally acclaimed as ‘Mother of all Koreans’ in popular songs, paintings and revolutionary poetry. For her part, Kim Jong Suk, his first wife and mother of Kim Jong Il, is seen as the anti-Japanese heroine par excellence. Proud, fearless and exquisitely Korean in their devotion to the revolutionary cause, these are the women that the regime wants other women to be inspired by. 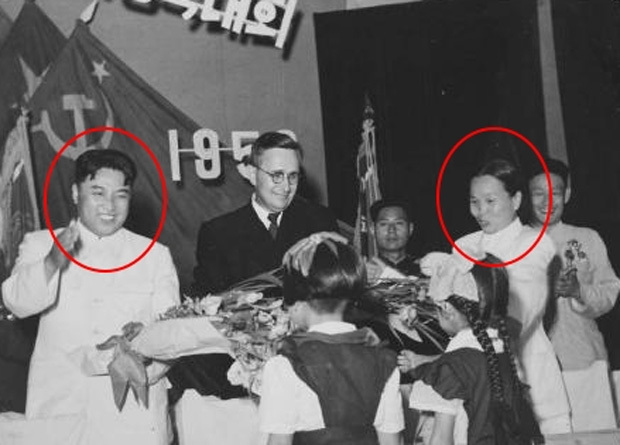 While both have long been celebrated as the foremost example of Korean purity and anti-imperialist spirit for all other North Korean women to follow, it is easy to see how they obtained their status through relationship with Kim Il Sung and Kim Jong Il. Kang Ban Sok is the woman traditionally depicted as arming the adolescent Kim Il Sung with revolutionary spirit and, for good measure, a couple of loaded guns inherited from her husband. 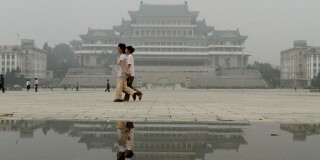 In a similar fashion, Kim Jong Suk is primarily seen as the doting mother who gave birth to Kim Jong Il. 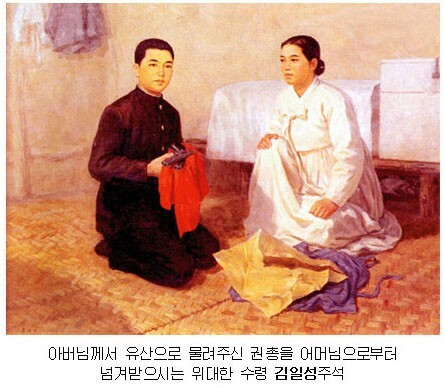 According to the official mythology, she was at Kim Il Sung’s side throughout his guerrilla years and the foundation of the DPRK, until her premature death in 1949. 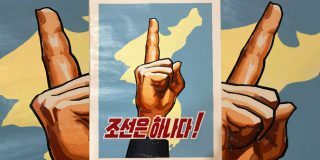 Neither Kang Ban Sok nor Kim Jong Suk ever held any real power (as far as we know there has been no equivalent of Madame Mao in the DPRK), but their role in setting the trend within official ideology is nevertheless undisputed. Where else would female cadets in the DPRK learn their skills, in fact, if not at the Kang Ban Sok Revolutionary school? For all their importance, however, even icons in North Korea can fall from grace, especially when their relationship with the leaders becomes strained. The case of Pak Chong Ae is emblematic: she had been a prominent figure since the founding of the Korean Workers Party, serving as Chair of the Democratic Women’s Union. Pak used to accompany Kim Il Sung on trips abroad, and gained international recognition as a result. But while she was considered to be extremely loyal to Kim Il Sung, she disappeared from public life in 1967 without any plausible explanation other than having had a personal conflict with the leader. When she resurfaced during the 1980s she had been stripped of any significant power. Do you know who Li Hwa Sun was? Although very few foreigners know her name, Pyongyang’s propagandists made a big effort to brandish her credentials as a ‘Labour Hero of the Republic’ at a time when the regime was taking pride in its achievements (and could even boast some of them to women: around-the-clock childcare, healthcare services, maternity leave). For the regime, women rights and labour policies have always been intertwined. North Korea claims to have liberated women first from centuries of feudal oppression and then from the slavery of Japanese occupation. At the peak of its industrial production in the 1970s, the DPRK published a few books to celebrate its women and their advancement in society. It goes without saying that the whole idea behind this was that a good North Korean woman sets a great example by working harder and longer than others, like any true revolutionary should. Women like Mrs. Li are clearly the types that the regime wants others to emulate. 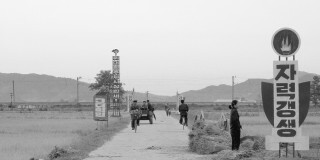 Before the economic collapse forced nearly all female workers to resort to underground market activities, North Korean women were expected to contribute to production just as much as men, in a day divided between ‘eight hours of work, eight of study and eight of sleep’. Conveniently left out of this equation was that women were also supposed to be responsible for household maintenance and childcare. The picture of Mrs. Li has been reproduced from one of the books from the 1970s, with its original caption, stating that she overfilled her quota ‘with burning loyalty for Kim Il Sung’. 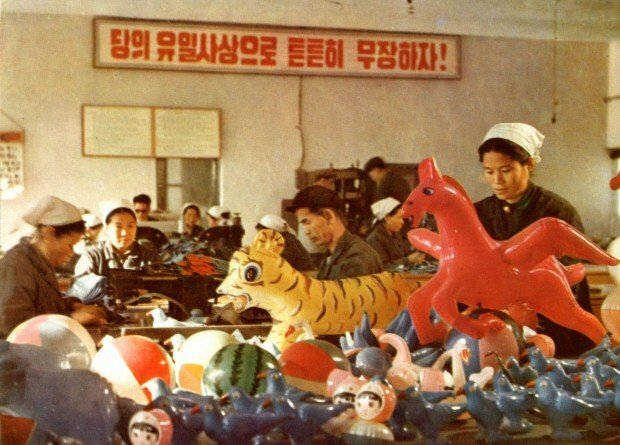 Older generations of North Korean women would probably look at this image with a mixture of pride and nostalgia. 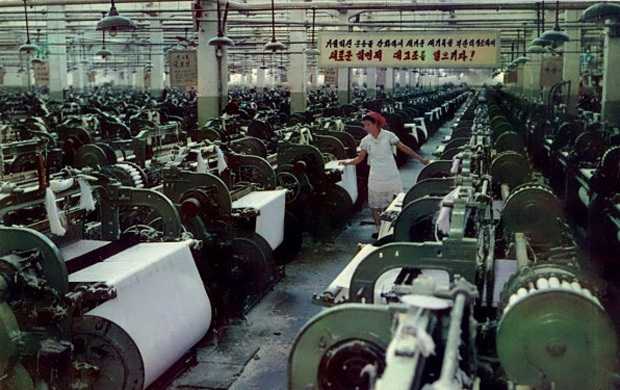 Much has changed since the 1970s, but the importance of North Korean women in economic terms cannot be underestimated, especially in the present crisis. Women in the DPRK basically run the underground economy on their own, while still attending to most, if not all, of the household duties. While Kang Ban Sok and Kim Jong Suk represent historical ‘moral examples’ and were rather irrelevant when it came to actual struggles for political power, there is a small group of women in contemporary North Korea who have discretely gained power and are actively taking part in the country’s politics. Women like Kim Kyung Hee, Kim Ok (Kim Jong Il’s last mistress and personal secretary) and Kim Sul Song (Kim Jong Il’s eldest daughter), are presumably the most important female figures in the country and yet very little is known about their personal life or their specific position within the leadership and the government. 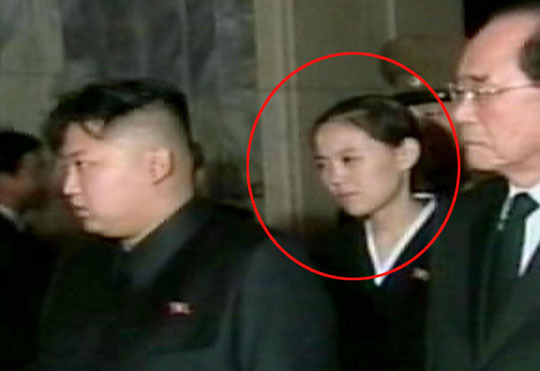 Even more mysterious is the life and role of Kim Jong Un’s youngest sister, Kim Yong Ja. 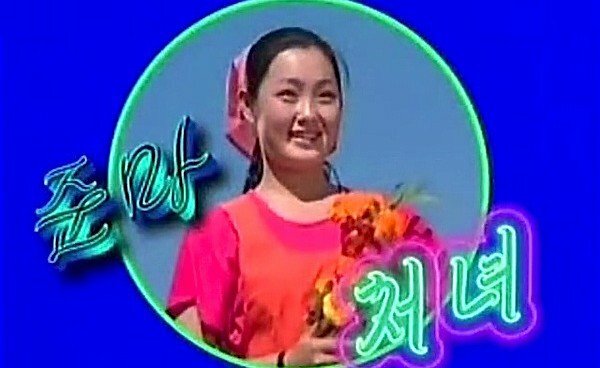 She is rumored to have long worked within the DPRK’s propaganda apparatus. On the other hand, Ri Sol Ju (Kim Jong Un’s wife) receives a lot of media attention but carries little political weight, because her media exposure has very little to do with real politics in the DPRK. It is important to note that just like the revolutionary icons, this ‘elite within the elite’ derived all its influence from the relationship with the three Kims. In fact, North and South Korea have an almost identical ratio of gender inequality in politics, and western (and Korean) media seem to have taken such inequality at face value. 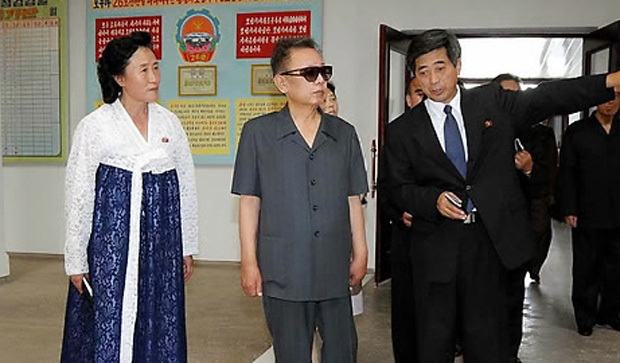 Kim Kyung Hee is predominantly identified as ‘the sister of Kim Jong Il’ or ‘the wife of Chang Song Taek’, rather than by her rank (she is officially a General in the KPA and the Secretary For the Organization of the KWP). Similarly, Park Geun Hye is first and foremost ‘the daughter of Park Chung Hee’ and her political activity is constantly evaluated in the shadow of her father’s. With the country opening its doors to international tourism nearly two decades ago, we have witnessed an ever-increasing flow of images capturing aspects of daily life in the DPRK and revealing some of its best kept secrets. 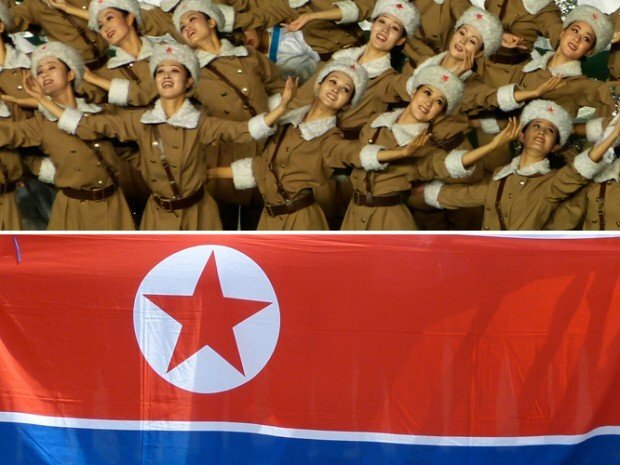 Young, modern, attractive North Korean women invaded – quite literally, the internet like an army of beauties, in and out of the military parades and mass games. They range from the Pyongyang traffic girls, whose images are collected in a dedicated website, to ‘the Tea Girl’ featured in the Vice guide to North Korea, to countless new images of female North Korean minders, tour guides and waitresses increasingly shared online. These modern icons share very little with the ideology of the DPRK, or the notion of socialist revolution; quite obviously, they have no political power. 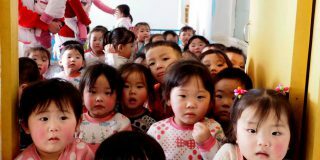 What matters is they are much more familiar and visible to foreigners than to the average North Korean, and probably not at all important to their fellow countrymen. On the surface, most of these young women seem more attractive and friendly to us than we ever thought North Koreans could be. Contemporary North Korean women look and live (and maybe think of themselves) in a different way from their mothers or grandmothers; it is undeniable that they have brought a colorful tone to the general grayness that pervades much of the DPRK. Their presence on the Pyongyang scene is a metaphor of a common hope among North Korean watchers: that the DPRK will modify its foreign policies, open up and become more affable. If a picture is worth a thousand words, images like the one above are the best example of our expectations about North Korea. Set against a different backdrop, these could have been two regular South Korean women going about their business. 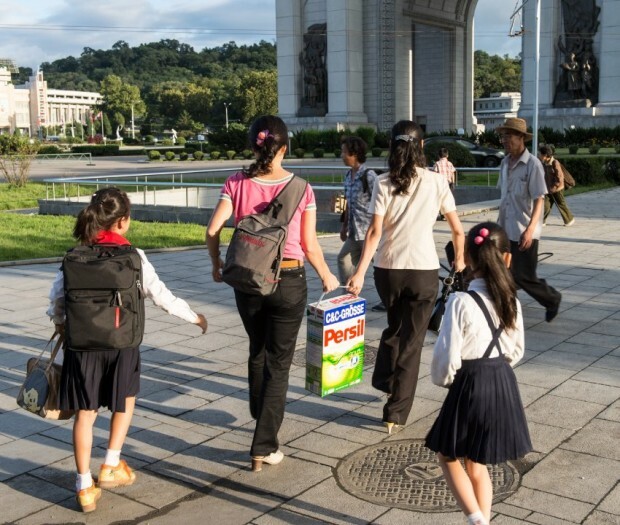 We may feel relieved that this is happening in Pyongyang: even though life has never been too easy for North Korean women, the last decade has brought enough changes and some reason for hope. 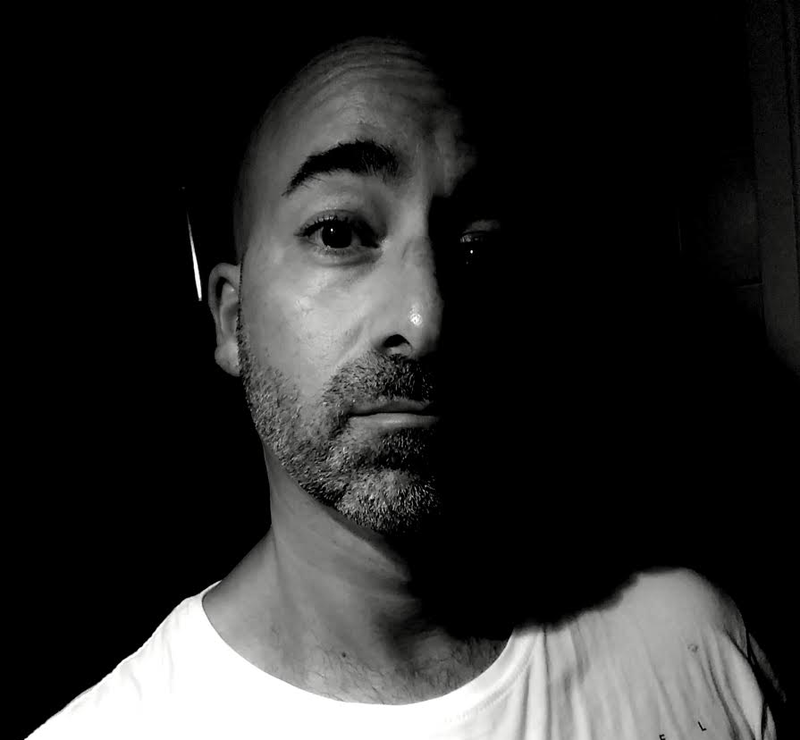 We’ll continue in the second part of this article – watch this space. Take a look at how North Korean women have changed over the years! Subscribe to read the remaining 1636 words of this article.